The fur babies love their sister. zoE quickly showed her the best napping location. 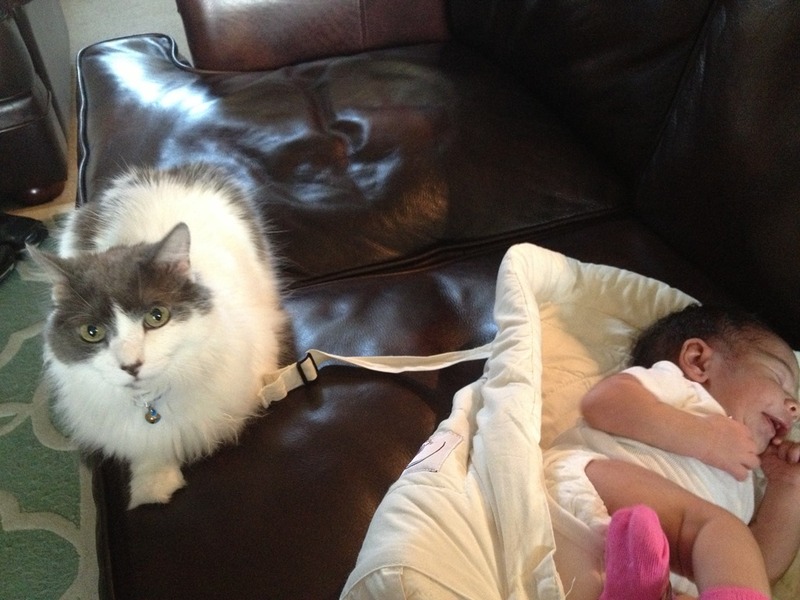 Leroy thinks he is the best babysitter. I think they’ve got it down! 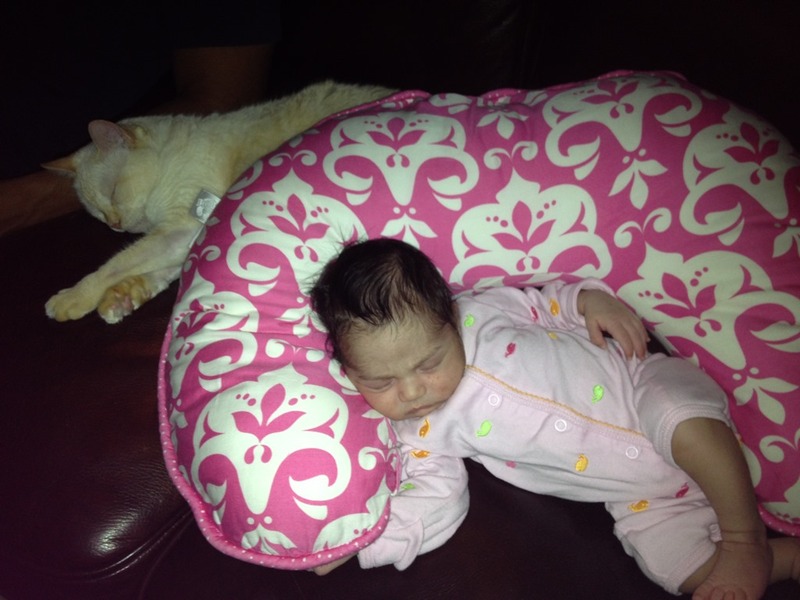 Waiting to see pictures of Father sleeping on the boppy! should have named one of them Lassie. Do they come get you when shes crying? I am very glad they like her. Can actually be trouble if they don’t.